Momarr Mass Taal says he got into business by accident. The 28-year-old wanted to be a diplomat like his dad. 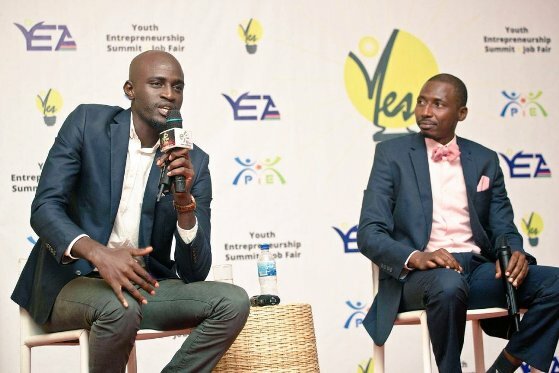 At the age of 17, The Gambia-born entrepreneur, printed t-shirts for fun, then for friends and gradually grew into a clothing brand, Malyka Clothing. Within a few years he was manufacturing in Bangladesh and selling in five countries. .
“With the intention to build a business that would address the lack of value addition for our local produce, I found that most local producers, particularly farmers, had market access problems and I set about building a business which used value addition to create that market.”Tropingo Foods, a groundnut and mango processing and export company, was born. He exports to Asia and Europe and is building a food dehydration processing facility in Gambia. “We are a sustainable food processing company based in The Gambia with regional ambitions. Our Groundnut processing and export business in 2015 is officially the largest exporter of groundnut in Gambia,” he said. Momarr has 140 employees, 120 of which are women. He turned over $1.6 million in 2015.